Beacon Pointe WAI representatives Karisa Diephouse and Jamie Cardona were asked by WISE (Women Investing in Security Education) to speak at the 2018 Girl Scouts Volunteer Conference at Chapman University. 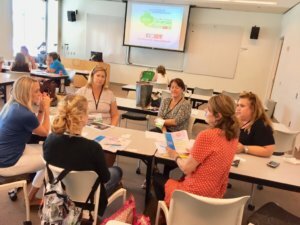 This conference had over 500 individuals from Orange County in attendance and was designed to help troop leaders come up with new, fun ways in which to educate their girls on financial literacy. Karisa and Jamie volunteered to speak and educate troop leaders on creative and effective ways to teach their fellow girl scouts about budgeting their money, sharing financial literacy with others, and earning their financial literacy badges. This is especially important, as only 12% of the girls have expressed that they feel “very confident” in making financial decisions. 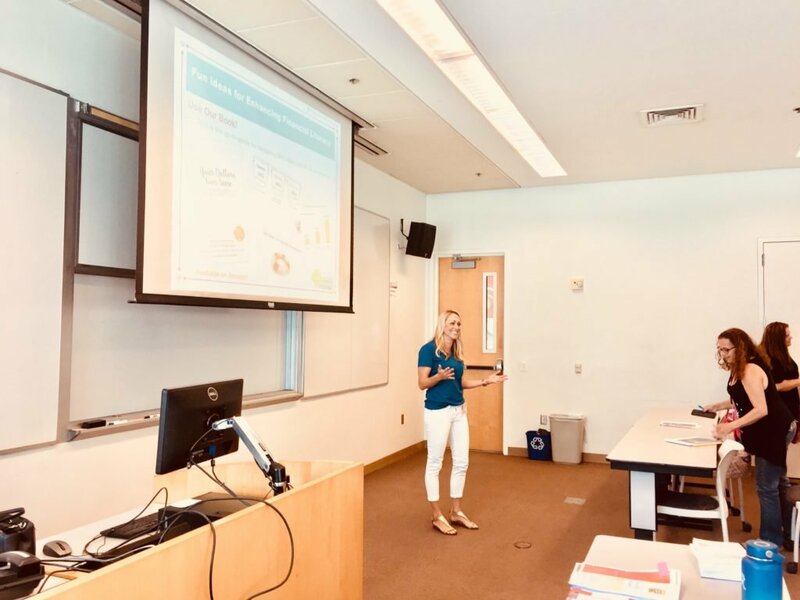 Karisa and Jamie were honored to connect with and teach the troop leaders this important life skill – educating, empowering and engaging women in their financial lives is one of Beacon Pointe’s community missions. Fun ideas to bolster financial literacy education that were expressed in the conversation included “gamifying” the topics through popular games such as Jeopardy. This allows leaders and girls to have a fun, creative time in what could be a daunting subject. Additionally, it was presented that the girls make interactive worksheets, lead and attend group chats, and utilize Beacon Pointe’s own international best-selling book, Your Dollars, Our Sense: A Fun and Simple Guide to Money Matters to conduct a chapter-by-chapter educational book club series. In the past, Beacon Pointe has worked closely with the Girl Scouts of Orange County in a variety of events, mentorship roles, and community service and we look forward to watching this phenomenal organization continue to educate and support these exceptional young women.